Easy to wire tooless termination. Copper tape and dual compression springs ground connector. 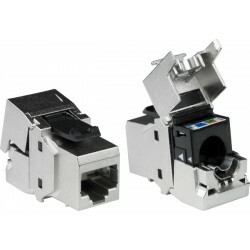 Includes port cover for when connector is not in use.